Each of these centers has been designated a Comprehensive Cancer Center by the National Cancer Institute, the highest designation awarded by the NCI. Within these academic cancer centers, both laboratory researchers and clinical physicians are able to further study cancer and develop newtreatment methods. Executive vice president of UC Health, Dr. John Stobo has explained that: "The UC Cancer Consortium is uniquely placed to take on California's most difficult issues related to battling this insidious disease. Our research mission and high level of skill also mean that our centers often care for patients with rare cancers who cannot be treated in other hospitals that may lack the expertise or access to clinical trials using the latest experimental drugs." 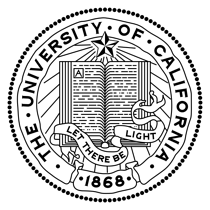 The University of California system is full of highly funded institutions where researchers are constantly conducting and publishing cutting-edge life science research. 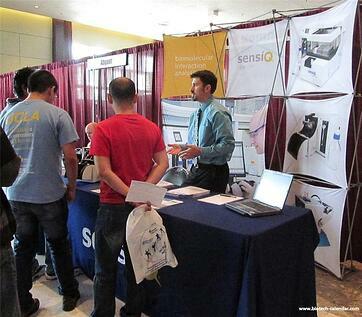 These researchers are eager to obtain the latest latest innovations in lab equipment. This presents a prime opportunity for lab suppliers looking to market their products to UC science professionals. 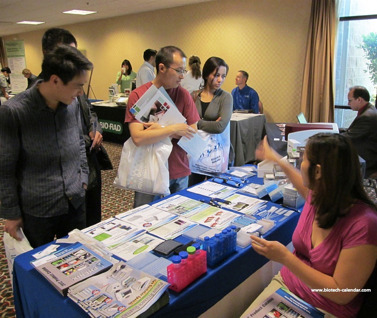 Biotechnology Calendar, Inc. has been producing life science trade shows at top research institutions for morethan 22 years, and offers multiple chances for lab suppliers to meet with University of California researchers each year. Meet one-on-one with hundreds of life science researchers in a professional and intimate environment. Answer researchers' questions and schedule follow-up meetings. Gain market visibility and increase brand awareness. 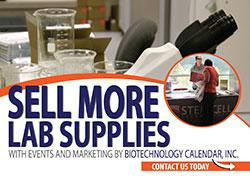 Biotechnology Calendar, Inc. has 11 opportunities in 2018 for lab suppliers to meet with UC researchers across the state, at upcoming BioResearch Product FaireTM and Biotechnology Vendor ShowcaseTM Events.